You love Apple's stock. Here's why. With apologies to the many fans of the late, great Patrick Swayze ... nobody puts Apple in a corner. After a tough couple of months, Apple investors -- like Baby and Johnny -- are once again having the time of their life. The stock hit its highest level since late July on Wednesday. It's gone from Gala red to Granny Smith green in the process. Shares are now up 12% this year. That's a huge turnaround in a short period of time. As recently as last month, Apple was in negative territory for 2015 while other big techs such as Alphabet/Google (GOOGL), Facebook (FB), Amazon (AMZN) and Netflix (NFLX) were surging. Even stodgy, old Microsoft (MSFT) was rallying as Apple sat out the market's big dance. But Apple is now only 8% below its all-time high from April. In other words, Apple is no longer in a correction -- which is a more than 10% pullback from a recent peak. If you were lucky/brave enough to buy Apple at the height of the market panic back on August 24 -- when the Dow (which includes Apple) was in the midst of a 1,000 point sell-off -- then you're sitting on a nearly 35% gain. Apple plunged to $92 a share that morning. It's unlikely to get that low anytime soon ... if ever. Why is Wall Street infatuated with Apple again? Last week's strong quarterly results are the main reason. The company reported a 36% jump in iPhone sales and did particularly well in China. That helped allay some concerns that China's recent market and economic turmoil would be a problem for Apple. Apple TV -- which just got a snazzy update -- and new products like the Apple Watch and Apple Music are billion dollar businesses for the company too. It also doesn't hurt that Apple has an iNormous $206 billion in cash and continues to trade at a reasonable valuation of just 12.5 times next year's earnings forecasts. Related: Who's buying Apple products? Old men. So can the stock keep climbing? "You" (and by you, I mean my social media followers) seem to think so. Based on the results of an admittedly unscientific poll I conducted on Twitter (margin of error: ∞) investors are betting on the stock hitting a new record before the end of the year. Apple up today and out of correction mode. New all-time high for $AAPL before year's end? What say you? I followed this up by asking users of Twitter and StockTwits to give their reasons why they think Apple is a stock to buy or sell. 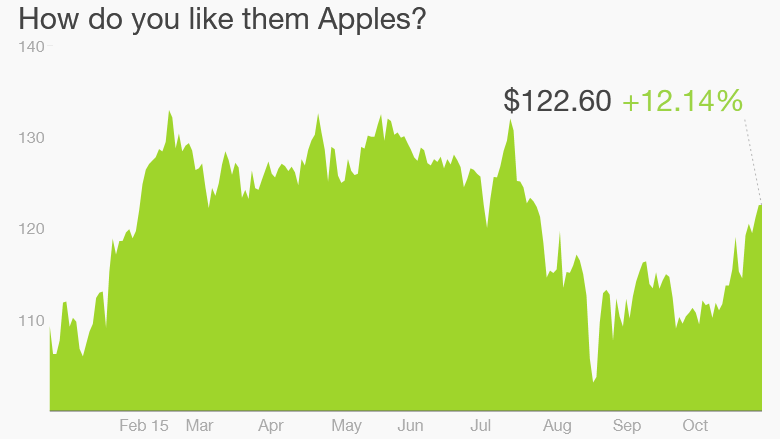 @LaMonicaBuzz @CNNMoney $aapl is just going to keep growing. People need to stop worrying about China. Most in the US have an iPhone. True. And as long as all those Apple fanboys and fangirls in the U.S. line up for the iPhone 7 next year, the presumed iPhone 7S in 2017 and what I hope Apple calls the iPhone Ocho in 2018, then the company should remain in fantastic shape for years. But make no mistake, Apple needs to do even better in China too. Huawei and Xiaomi are tough competitors -- which both have global aspirations. @LaMonicaBuzz @CNNMoney Y sell? True, brains behind the operation SJ has departed, there's genius within co and it's going 2 take off again! That's a great point. Tim Cook has done a solid job as CEO. He's not Steve Jobs. But nobody is or ever will be. 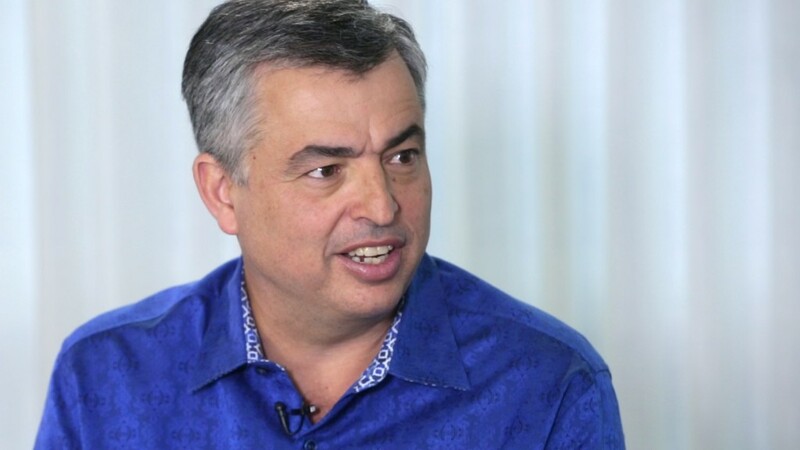 Apple still has many other talented executives and engineers -- and that should hopefully lead to exciting new products down the road. An Apple Car perhaps? Yes. And don't forget the potential impact that Apple and the iPhone may have on the health care industry with its new apps as well. Points for using the favorite phrase of big Apple investor Carl Icahn! Still, there are some Apple bears out there. @LaMonicaBuzz @CNNMoney slow iPhone6s sales, supplier shuts down prod unit.. It is a wait & watch stock.. Not a buy right now!! Yes, there are still some concerns about iPhone 6S sales even after Apple's latest earnings. There are reports that Chinese manufacturer Pegatron has a hiring freeze at one factory because of soft demand for Apple's newest phone. And British mobile chip company Dialog -- a big Apple supplier -- recently spooked the market by reporting sales that were below expectations. Apple has been a volatile stock. So you can't rule out another pullback. But it looks like the Apple bulls outnumber the skeptics for the time being.